James B. 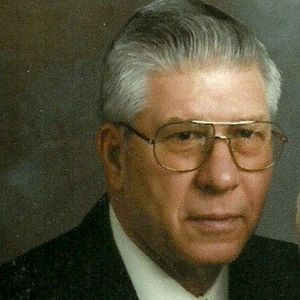 "JB" Hess, 91, of Anderson, passed away on March 22, 2019 at Millers Merry Manor in Chesterfield. He was born on January 10, 1928 in Clay County, Kentucky to the late Henry Ford and Ruth Hess. James served his country in the US Army. He worked at Nicholson File as a set up operator for over 30 years. He then worked at Borg Warner as a Machinist retiring after 10 years of service. He was a member of the Anderson Moose Lodge and was an avid bowler and fisherman. He is survived by his children, Sharon (Doug Crowthers) Jarrett of Anderson, James "Jim" (Pam) Hess of Rome, Georgia; grandchildren, Jacinda Jarrett, Lance (Rachel) Rector, Jennifer (Ismel) Alvarez, Andrea (Cory) Higgins; step grandchild, Matthew Jarrett; several great grandchildren; step brothers, Richard Hess and Raymond Teague. James was preceded in death by his wife, Lois Hess; son in-law, Dale Jarrett; two brothers, and one sister. Services will be on Thursday at 2:00 pm at Brown-Butz-Diedring Funeral Service & Crematory, 515 E. 53rd St., Anderson, IN 46013. Burial will be at Anderson Memorial Park Cemetery. Visitation will be on Thursday from 1:00 to 2:00 pm. Online condolences may be made at www.brownbutzdiedring.com.